Earlier in the month I ticked of another country in the list of "Countries I visited", Taiwan. 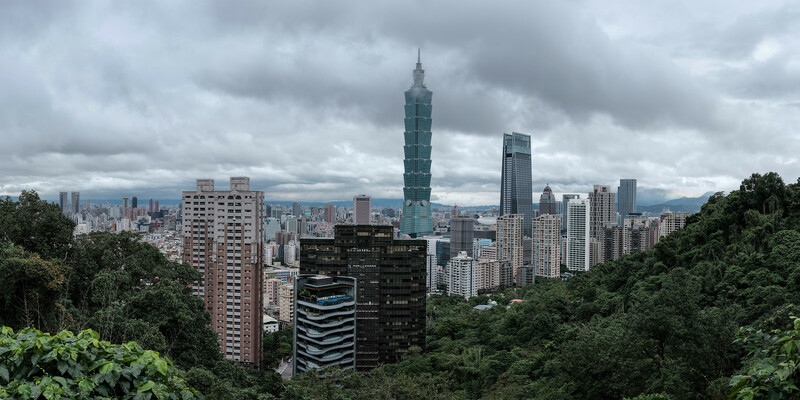 Formerly known as Formosa, Taiwan is also known as the Republic of China (ROC) and depending who you speak to, is considered to be part of China or an independent country. For the best view on the city, one can climb "Elephant mountain"; officially called Xiangshan, this is a 183m mountain which one climbs through a series of steps; count on about a 20min hike to reach the top. Definitively worth it. I was shooting the Fujifilm GFX 50R I borrowed from Fujifilm Middle East at the time and it turned out to be great tool to capture the detail of the vista from the top of the mountain! The image below is a 9 shot panorama stitched together to an image that is more than 16000 pixels wide. The medium format GFX 50R is a high megapixel camera to start with, but when one starts merging images together, the amount of detail when zooming in, is jaw dropping! Please make sure to check out a full screen view of the image by clicking on it below!